The next issue of Weekly Shonen Magazine, to be released on March 08, will come with a postcard of HiGH&LOW drawn by CLAMP as an appendix. 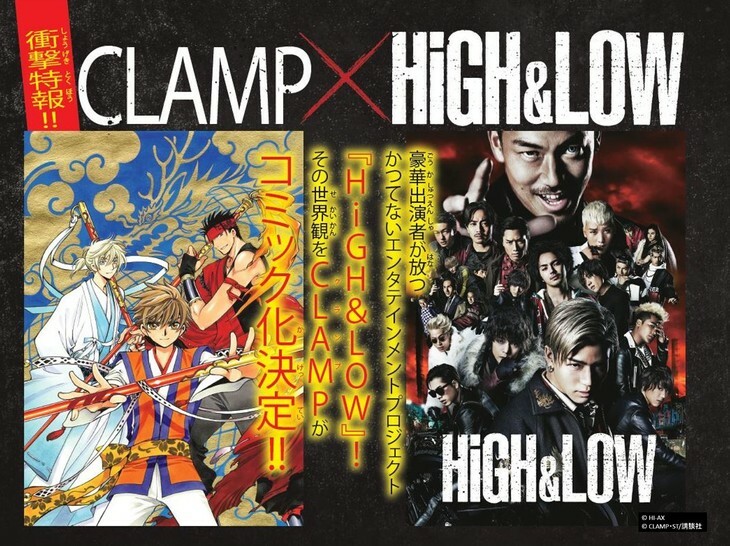 This will be the first official art by CLAMP for HiGH&LOW. The same issue is also going to announce the issue in which the serialization shall start. This looks like this will be getting a lot of attention.